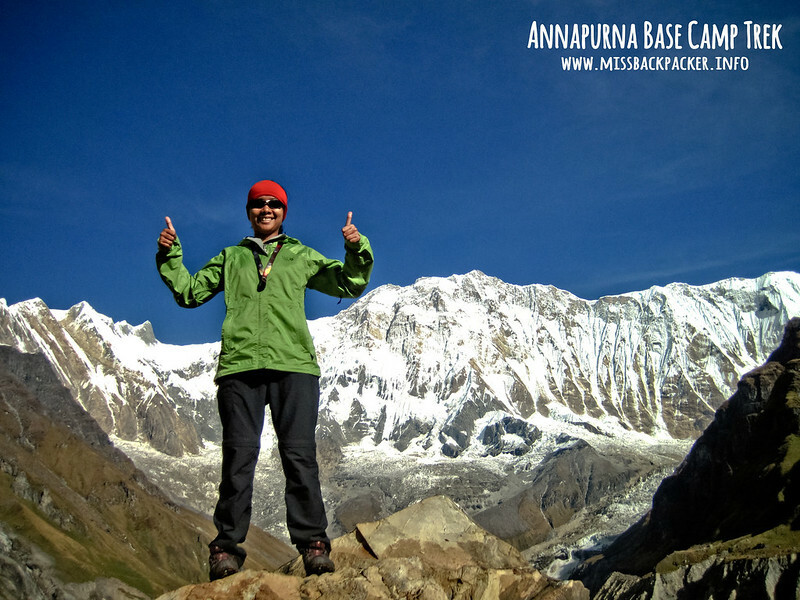 Understanding Annapurna and Life | Where Have You Been Lately? I wrote this article for a company magazine a few days after our 7-day adventure to the Annapurna Base Camp. It never got published, so I thought of sharing it here. No one can really understand us, trekkers, unless you’re one of us. Many may think that what we do is plain stupidity. We need to carry colossal backpacks, eat food that is foreign to our taste, drink filthy water in desperation, take a bath only after a few days of trekking, and the list goes on. Then why trek if it only causes us emotional, physical, and mental strain? Because it’s an addiction. Just like you can’t quit inhaling nicotine that may lead to illness or stop from gambling that may cause your bankruptcy. It gives us a great sense of achievement knowing we can push ourselves to the limit, because it gives us a different view of the world only a few can see. 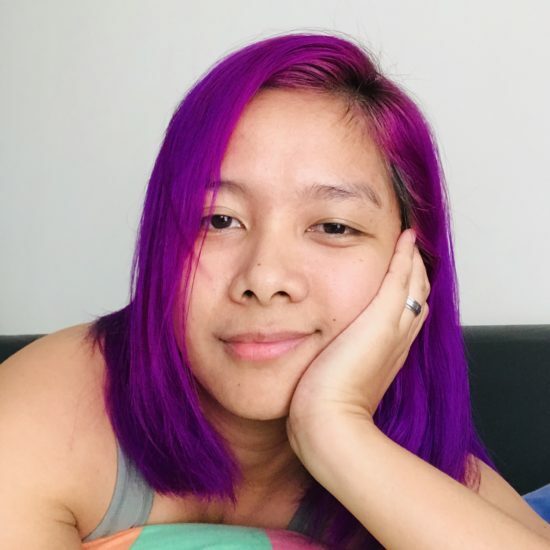 A few months ago, Rowjie and I thought of going out of the country for another backpacking adventure. We couldn’t think of anywhere to go. 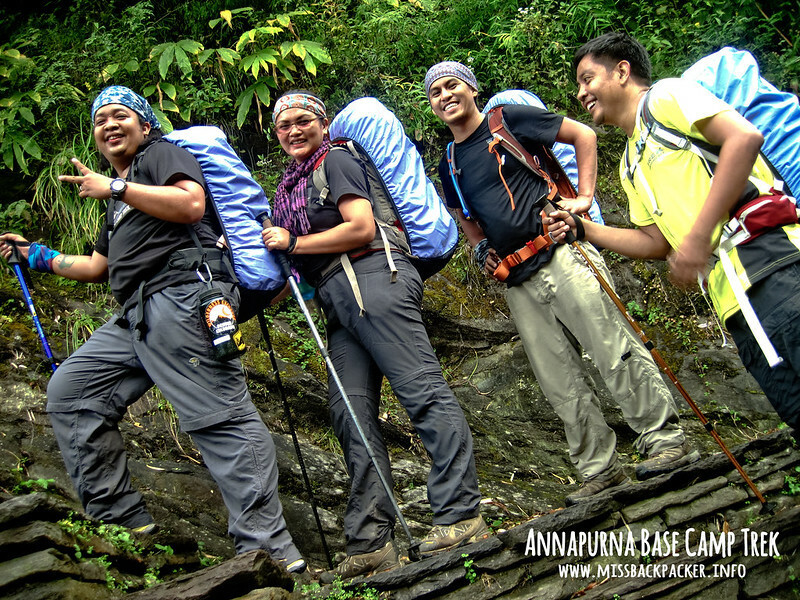 Thanks to this one article by a fellow Pinoy Travel Blogger that gave us the idea of trekking in Nepal. When we talked about the Nepal, the first thing that we thought of was the world’s highest mountain, Everest, and so we planned everything. We even got to encourage a few of our closest friends to join us. After more months of anxiety, training, meetings, and all the preparations, we left our homeland and flew to Kathmandu, Nepal where our epic adventure began. I know no one who had been to Kathmandu or any parts of Nepal reason I had no idea what to expect. Magazines, however, depict Nepal as the melting pot of various culture, religions, and customs because of the diversity of its inhabitants. 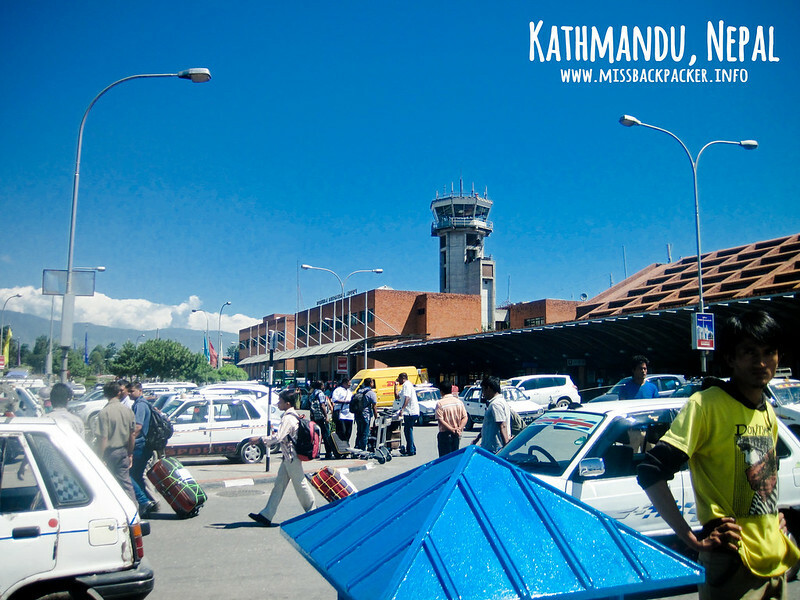 But when we arrived, I felt differently; Kathmandu was rather a shock to me. It was far from how magazines describe the country. It’s very humid, crowded, and dusty. Not quite the place you imagine where the great Buddha was born and not even as the gateway to the Himalayas. Because of limited time, we only had a few hours to wander around the city. I thought I could have appreciated the uniqueness of Kathmandu had we spent a little more time knowing the city. One thing that most travelers should do, allot real time understanding the place. 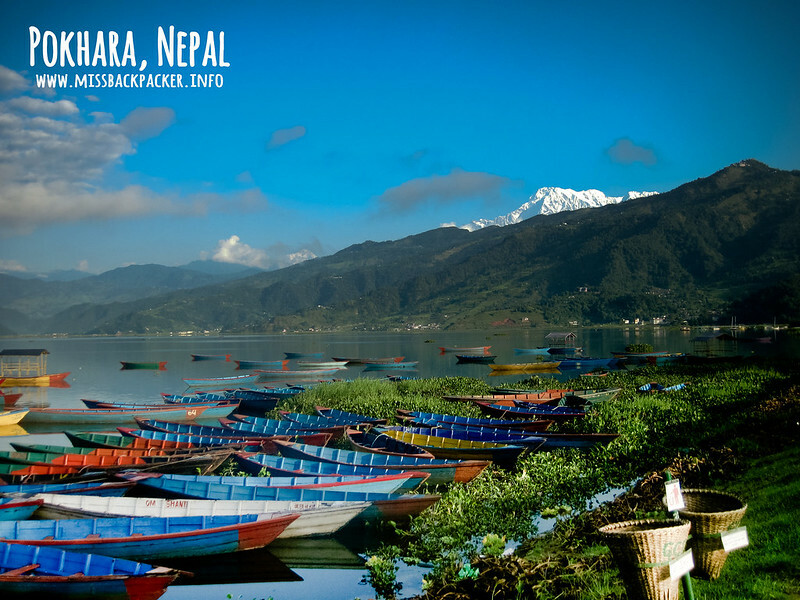 Pokhara, an eight-hour drive from the capital and one of the provinces off the western part of Nepal, was our next destination. It’s another story though. It’s less people, buildings, dirt, and has fresher air because of the lakes surrounding it from which its name was actually derived from. Everyone has an amazing view of some of the parts of the Himalayas ranges specifically that of Annapurna, a scene that’s missing in Kathmandu. This is where we had an initiation of how life in Nepal goes. 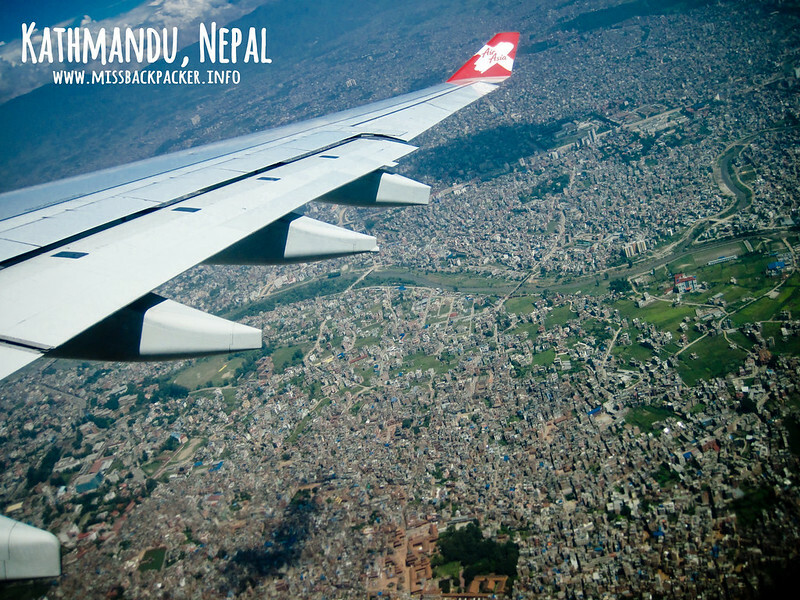 View of the Snow Mountains, Nepali Rupees, vegan cuisines, Namaste, curry, Hinduism, and a lot more. We needed to squeeze in all of the activities from a supposed 10-day trek into a stressful one week because of time constraints. We were told ahead by the guide we thankfully were able to hire that the trek would be much difficult than the usual. But we all shrugged it off and just listened to our hearts that this is what we want, that trekking is already a part of our systems that we couldn’t let go of. 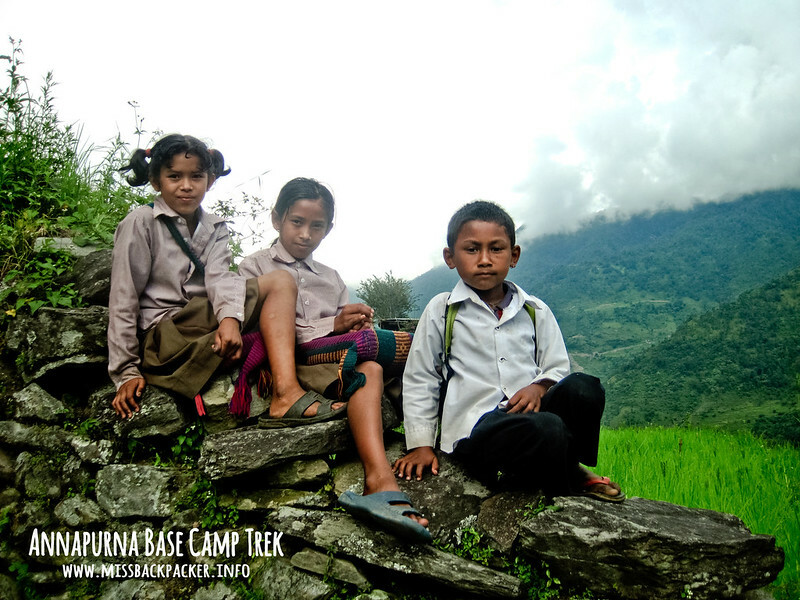 The trail leading to the base camp of the Annapurna mountain ranges is far from what we have back in the Philippines—mossy forests, steep terrains, edgy trail. Most of the time, we just climbed up and went down steep but established stairs. No-brainer at first. 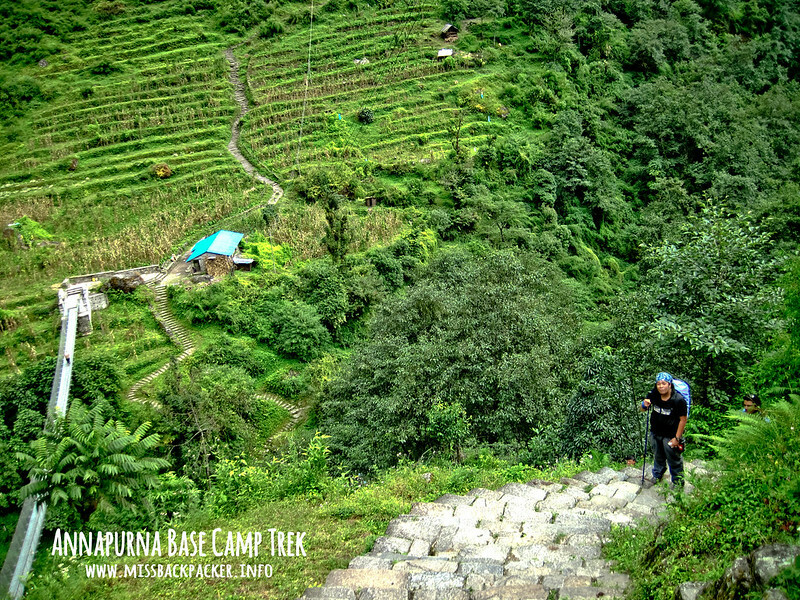 But as hours went by and as the stairs became stiffer every step, it dawned into me that this is no ordinary trek, that I am walking toward the tenth highest peak in the whole world. One time I’m swimming in my own sweat, the next I’d be colder than ice. There were moments when I thought of giving up, of just going back to where I started. It never occurred to me that this was also the point when I was really understanding the beauty of Annapurna. If people, who I think are less capable of me, successfully did this, then why not me? I didn’t let all the struggles I met along the way defeat my goal of setting foot on a place 4,130 meters higher than the sea level. Then there it was, my reward that is Annapurna and all of the other mountains along with it. Majestic, breathtaking, amazing, and something that I’ve never experienced before. While trekking, the weight of my bag and all the stuff inside it became a burden that I no longer want to carry. I had to leave a few clothes, make-up, and more things that I don’t really need in one of the lodges along the trail. Like in life, you have to let go of some things you think you need when in reality they are just mere frills; that you have to sacrifice your comfort to fully enjoy your journey; that sometimes simplicity is the highest form of luxury. I had to walk for exhausting seven days to see the majesty of Annapurna, even just at its base camp. This gave me the realizations that the best things in life aren’t within your reach; you have to work hard for it, you have to experience pain, you have to know the feeling of almost giving up. 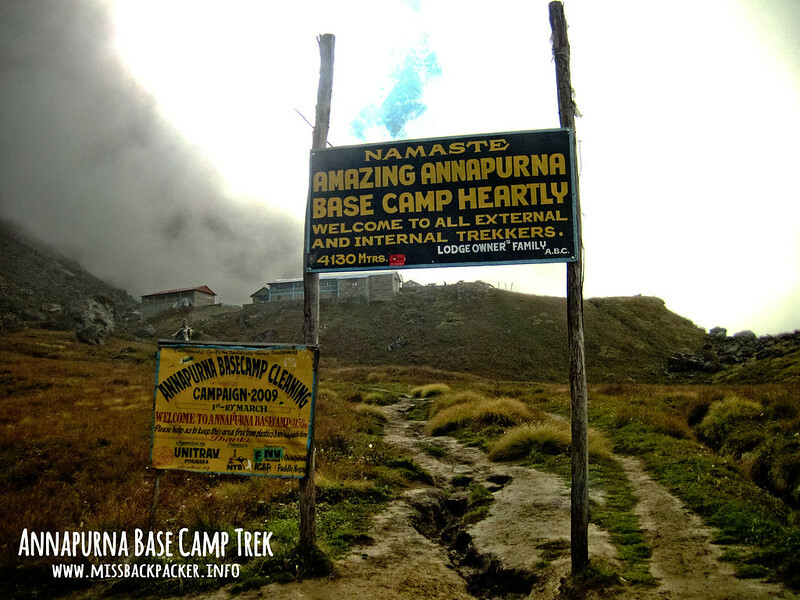 Trekking up to the base camp of the Annapurna mountain ranges is one of the things that I’d never trade for anything. 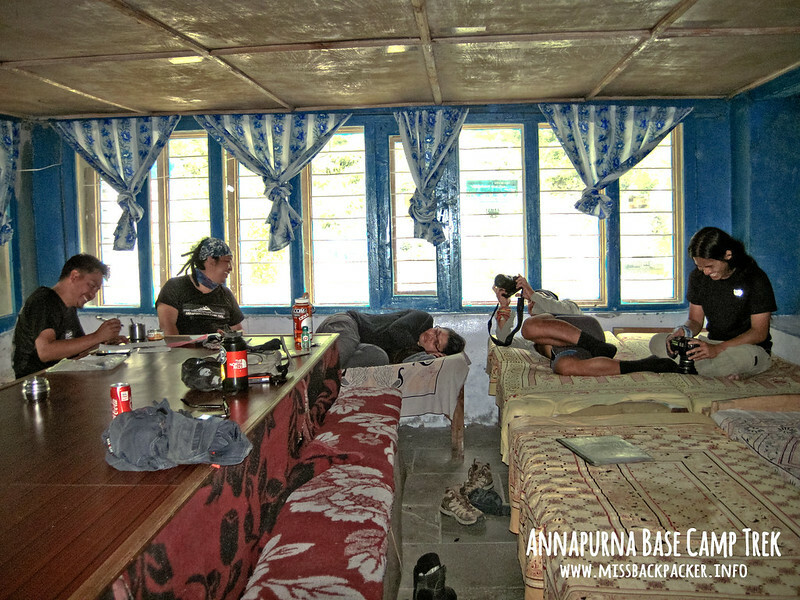 It’s an adventure that made me understand not just Annapurna but life and its beauty too. 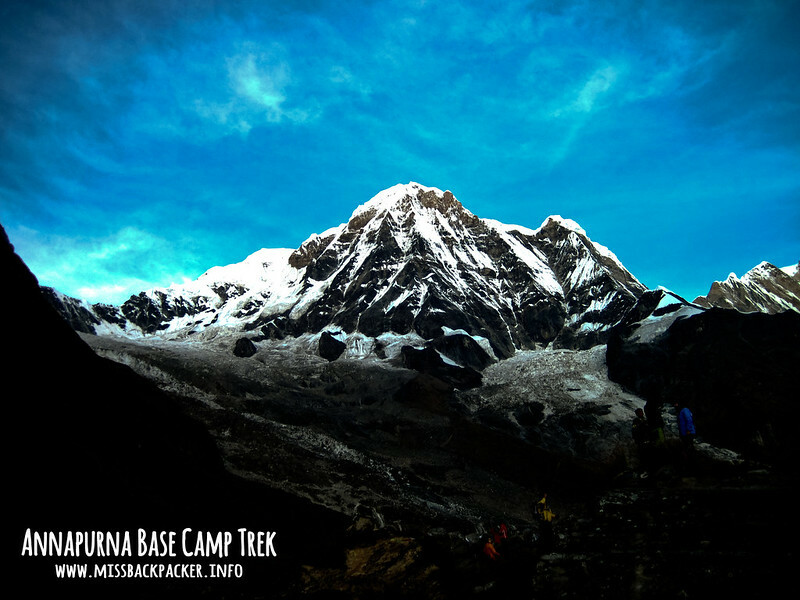 Thank you so much showing and telling about beautiful Annapurna base camp trek to the entire world.